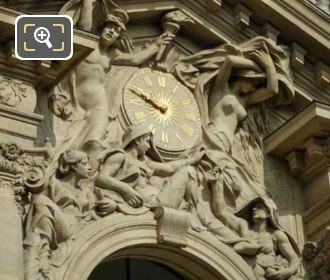 We were in the 8th Arrondissement of Paris at the Petit Palais, when we took these high definition photos showing the sculpture on the clock tower called Le Jour, la Nuit, les Trois Parques, which was produced by Hector Lemaire. This first HD photo shows a close up of the sculptures and statues produced as a bas relief surrounding the clock on the Petit Palais, which in French is called Le Jour, la Nuit, les Trois Parques and in English this translates to The Day, the Night, the Three Fates, and if you look very carefully at the right hand side near the bottom Fate, you will see the artist has signed the work. Now this ornate and intricate sculpture was produced in 1899 by Hector Lemaire who was born in Lille on 15th August 1846, and initially studied in his home town before going to Paris where he entered the Ecole des Beaux Arts, yet he won the Wicar prize in Lille to study in Rome for four years. 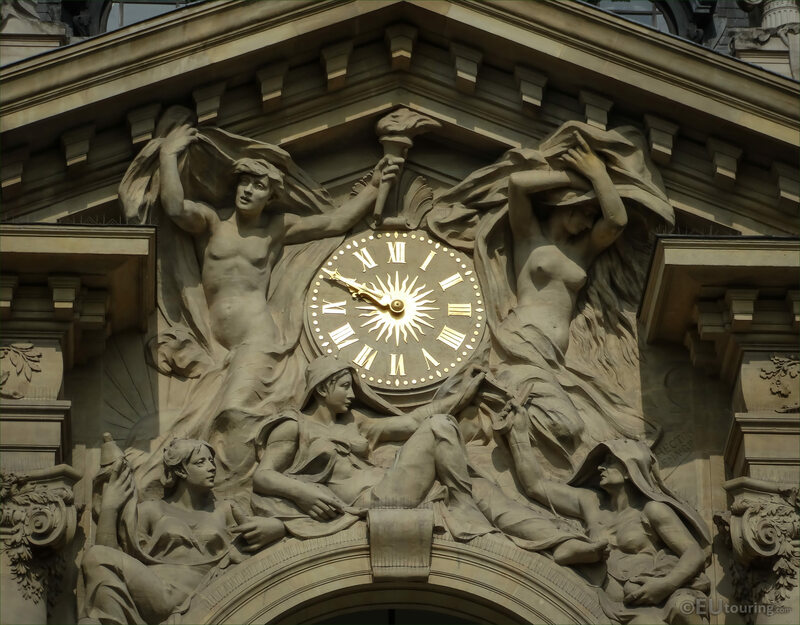 And after returning to France, he started exhibiting at the Paris Salons from 1869 and also became a professor at the Ecole nationale superieure des arts decoratifs, yet one of his most well known works is The Day, the Night, the Three Fates sculpture you can see in this image. 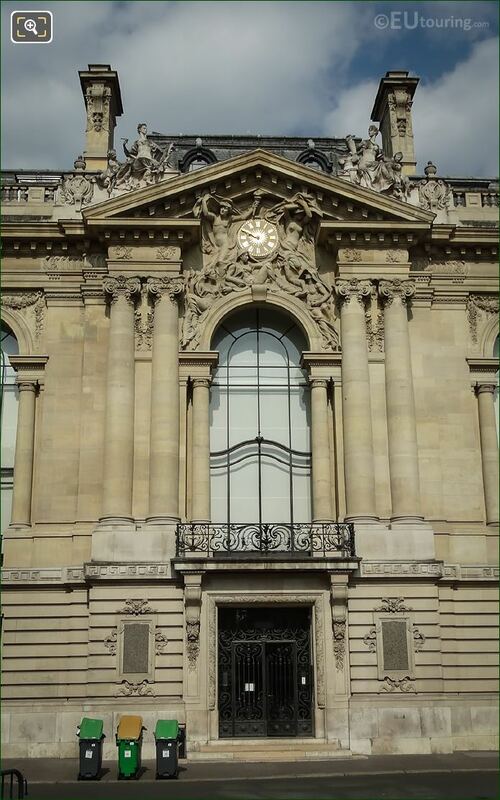 Yet this last photograph shows the location of this bas relief allegorical sculpture on the back entrance of the Petit Palais, which was constructed for the 1900 World Fair in Paris. 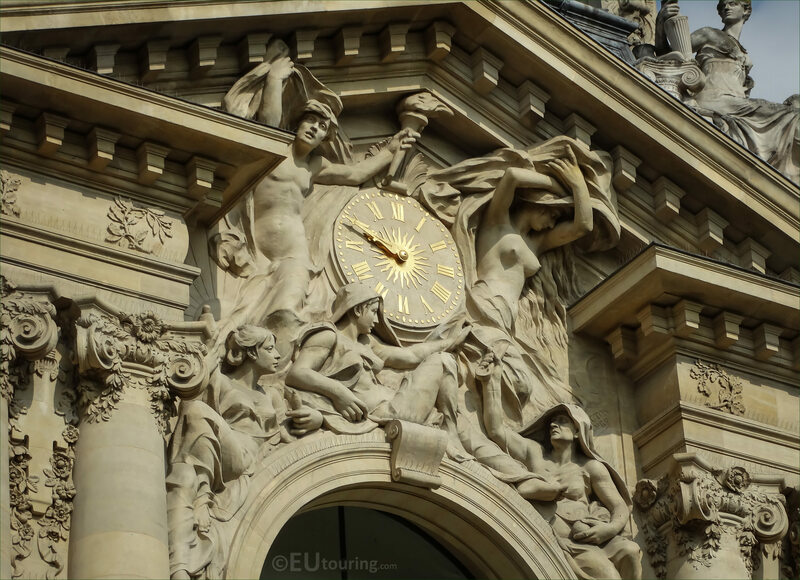 So you can find this located on the eastern facade of the Petit Palais on a section called the Tour de l'Horloge, which in English translates to the Clock Tower, and this is facing the Avenue Dutuit, which looks onto a section of the Jardins des Champs Elysees.